“Sanitary Waste, The Whole Picture” is a study conducted in 2014, probably a first-of-its-kind in India, that puts a number on one of the feminine hygiene products (FHPs) used widely in India—sanitary pads. This study was conducted by Chennai-based G Vijayakumar—a keen naturalist, conservationist and an independent social worker working in the areas of education and livelihood among the marginalized sections of society; BBMP Solid Waste Management (SWM) Expert Committee Members—Bangalore citizen members working with the municipality for sustainable SWM in the City; and, compiled and presented by Solid Waste Management Round Table (SWMRT), Bangalore—a public interest citizen group for sustainable SWM in the City. The study covers many angles: the quantity of sanitary pads generated per day, the health hazards of using pads, collection and disposal methods and its life-threatening effects on the pourakarmikas, among other important aspects. Although this study limits itself to Bangalore city, the import of its message, in my view, is anything but provincial. The reasons: This is a No.1 taboo topic being worsened by unwarranted silence. Secondly, it’s considerably difficult to get a door-to-door survey done to quantify the pads used precisely because this is not a subject everyone loves to talk about openly. Thirdly, this topic is, literally, a no man’s land. So long as women religiously maintain the vicious silence around it, the housekeepers and pourakarmikas continue to suffer in silence and the landfills keep taking in mountains of them, no reliable data will emerge. In this respect, this study gains significance and throws the field open to discuss, deliberate and demystify it further. Based on Census 2011, this computation is based on 100 per cent usage of pads by women in the age group of 15 to 44 years living in Bangalore city. Each month 276 lakh sanitary pads are likely to be generated. That’s 9 lakh sanitary pads per day in Bangalore city for a population of 17 lakh women experiencing menstruation. Bangalore city generating 9 lakh pads per day in terms of weight would be: (9 X 152)/ 15 = 91.2 lakh grams of used sanitary pads. When converted into kilograms, it would be 91, 200 kilograms of used sanitary pad waste weight per day. That’s 91.2 tonnes per day of used sanitary pads in Bangalore city. Equivalent to 33,000 tonnes per year. In reality, menstruation is a simple, cyclical and physiological occurrence among women. But the array of mind-boggling social, cultural and religious misconceptions, myths and euphemisms that shroud it have only been forcing the women into that menstrual hut for centuries. A majority of ‘modern’ women may not have entered it literally, but they do so each time they are shut off by the unhealthy silence that surrounds them. The black plastic bags doled out by our considerate shopkeepers to wrap the sanitary napkins only symbolises the spiral of silence that has built up around this experience. This entry was posted in Endlessly Green and tagged Bangalore's sanitary waste, eco-friendly mestrual options, hazards of using sanitary pads/napkins, mestrual cups, sanitary pads, sanitary waste collection and disposal, sanitary waste landfilling. Bookmark the permalink. Reminds of me of days when mom used only cloth pads,but slowly they were touted as unhygienic and we started using disposable sanitary pads. In fact, that is what I have switched to now! 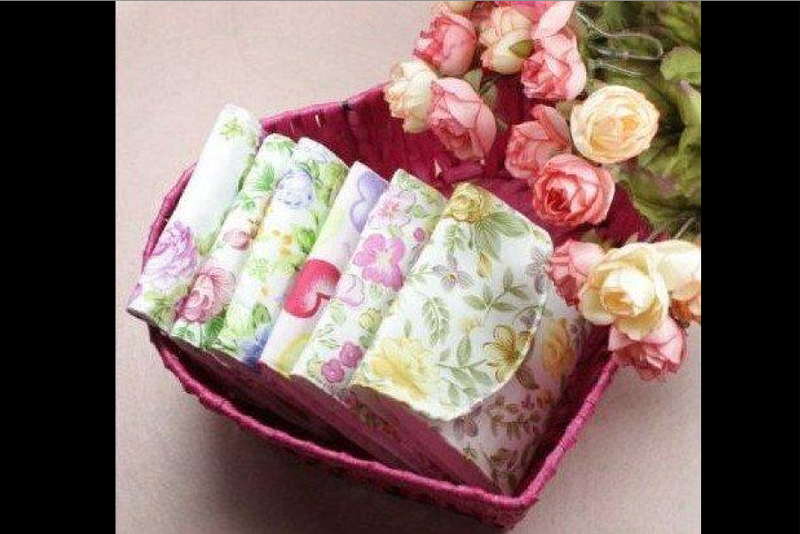 Hi All Fellow Ladies, why dont we use Mestural cups which are even better than Pads, be it sanitary or cloth….